Artina Luxury Villa is located in one of the most privileged spots in the scenic village of Keri, Zakynthos. 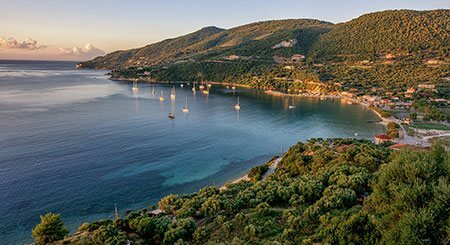 It is built on a hill overlooking the Ionian Sea, Marathonisi Island and the gulf of Keri. The beach below Artina is accessible in just a few minutes through a private footpath next to the villa. The center of Limni Keri where you can find tavernas, shops, mini markets and coffee shops is just a breath away by car. Rent a motorboat to visit Marathonissi (Turtle Island) and enjoy the beautiful clear blue water against the white sand. If you are lucky you may even catch a glimpse of the endangered Caretta-Caretta turtle that swims in the area. The more daring can try scuba diving and admire the magnificent world under the sea. It is also possible to take a boat excursion and visit the world famous Navagio Beach (Shipwreck Cove or Smuggler's Wreck) and the rare Blue Caves. 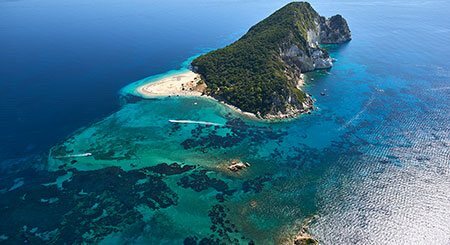 Laganas bay is host to quite a few beautiful beaches, little towns and villages, starting from Kalamaki all the way to Limni Keri; its most spectacular destination though is the islet of Marathonissi, also known as Turtle Island because of its turtle-like shape. A few paddles from Keri Beach, a small tropical paradise awaits for you. Nesting beach for the Caretta-caretta sea turtles features two white sand beaches with turquoise waters, a lot of sea coves and tropical vegetation. Hire a private motor boat, a canoe, or join an organized cruise from Limni Keri. You should also include Keri Caves in the same cruise. 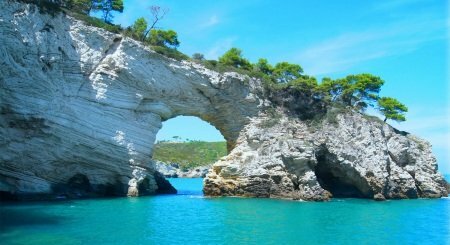 Unique monuments of nature such as hidden sea coves, Shipwreck-like beaches and spectacular rocky arches that dive into the turquoise waters of Keri are a few only of the realms in this must-see area. Hire a private motor boat, a canoe, or join an organized cruise from Limni Keri. You should also include Marathonissi in the same cruise. 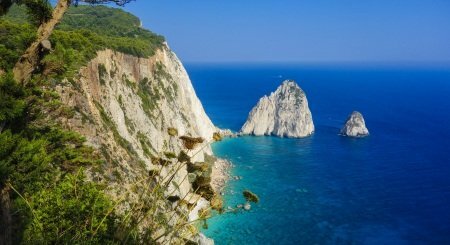 Enjoy a unique breath-taking view of Zakynthos' west coast as well as a romantic sunset from Keri Lighthouse, at the outskirts of the mountain village Keri, 5 kilometers away from Limni Keri. Deep, crystal clear waters, a gorgeous view of Marathonissi and complete isolation make this pebble beach a unique retreat for couples just 3km from Limni Keri. The nearest town from Artina Luxury Villa, Limni Keri is a favorite destination for many visitors that wish to make their daily shopping, enjoy a meal or coffee with a beautiful sea view in the local restaurants and cafes, hire a boat or join a cruise to Marathonissi and Keri Caves. 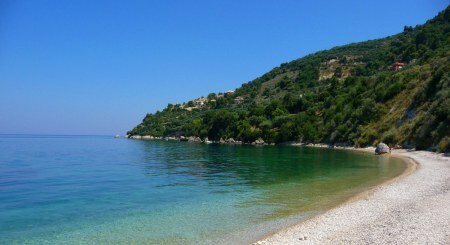 Keri beach is also a popular destination for many families because of its crystal, shallow waters. Furthermore you can rent diving equipment or join a diving cruise in one of the two local diving centers and explore the marvelous sea bottom of Keri. 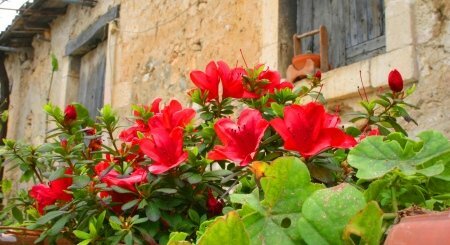 Located only 5 km from Limni Keri, this mountain village is one for the most traditional villages in Zakynthos island. Wander around the stone alleys, enjoy a coffee or a meal in the village square traditional coffeshop and taverns or buy traditional products from one of the local stores. Keri Lighthouse is less than a 5-minute drive from this beautiful village.